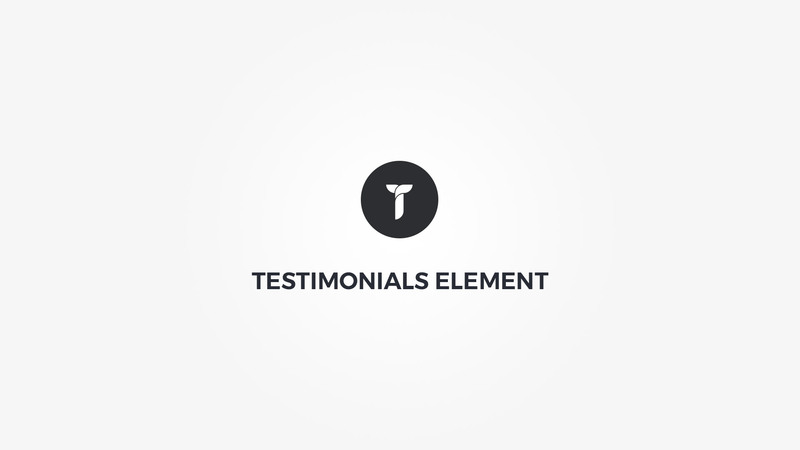 Testimonials element displays adjustable testimonials as a grid or slider. Testimonials - Here you can add, remove and edit your testimonials. Quote - Enter the author quote. Image - Upload or select author image. Name - Enter the author name. Job - Enter author job position. Website Name - Enter author website name. Website Link - Enter author website link. Container box style - Adjust .thz-testimonials-holder box style. Testimonial box style - Adjust .thz-testimonial box style. Layout mode - Select testimonials layout mode. Grid settings - Adjust grid settings. If the .thz-grid-item-in width is less than desired min width, the columns number drops down by one in order to honor the min width setting. On the other hand if the window width is below 980px and grid has more than 2 columns, only 2 columns are shown. Under 767px 1 column is shown. Slider layout - Adjust testimonials slider layout. Slider animation - Adjust testimonials slider. Testimonials metrics - Adjust testimonial metrics. Animate testimonials - Add animation to the testimonials HTML container. Quote font - Adjust author quote font. Name font - Adjust author name font. Job font - Adjust author job font. Website font - Adjust author website font.